Download Football Mobile App UI PSD. Today freebie is a free Mobile app UI template which is specially designed for football club but you can also use it for any other sports related apps. Football Mobile App UI Template has clean and modern ui design that will help you speed up your Football application design projects. It has differnt section and design element which is great for football mobile app. 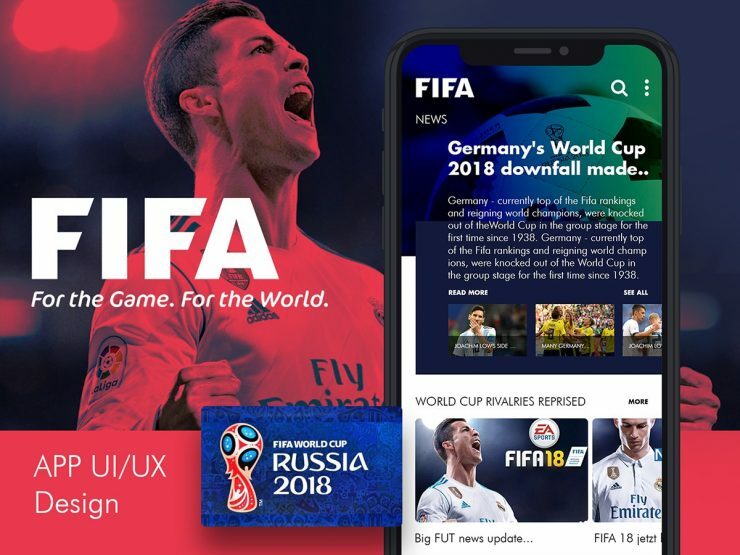 Football Mobile App UI is designed with a nice color scheme and the UI look clean and intuitive which will be helpful for your upcoming football app design project. All layers are well organised and folders making it very easy to edit and customise. Hope you like this Free Football Mobile App UI PSD. Enjoy!